Welcome to our Weight Loss Getaways Bariatric Blog! Weight loss surgery is an incredibly popular way to lose weight for people who suffer from obesity. It is generally used for people with a BMI greater than 30 that have trouble losing weight naturally or suffer from other serious conditions related to excess weight. The surgery is usually much safer than other styles of weight loss surgeries. It also has a shorter recovery time, although the weight loss results are expected to be slower. Regardless, the Mexican lap Band Surgery is a life-changing and sometimes life-saving procedure for many people who struggle with weight loss. The procedure is much quicker and safer than other weight loss surgeries. The Lap Band, or laparoscopic adjustable gastric band, is one weight loss surgery method that has been tested many times with great success. The procedure involves only a few small incisions in the stomach. The first incision is made near the belly button to allow the surgeon to insert a small camera inside the abdomen. The other incisions are made in various locations around the stomach. These incisions are to allow the surgeon to insert specialized equipment into the stomach that is used to place the band around the stomach. The lap band works by forming a small section at the top of the stomach. This section will likely only hold about one cup of food at a time. When this top portion of the stomach is full, it will send sensors to the brain letting you know that you are full. The band allows the food to move slowly into the lower stomach where digestion continues as normal. As the patient loses weight, adjustments will need to be made to the band. Lap band costs somewhere between $15,000 and $33,000, with the average price resting somewhere around $10,500. Some facilities offer a bundle package that will cover necessary postoperative adjustments and procedures. Without this bundle, further maintenance and wellness visits pertaining to your lap band surgery can cost anywhere from $15 to $300 per visit. Generally, insurance policies will cover some of these costs, especially if the person’s weight issue was life threatening. The lap band surgery is exceptionally safe compared to most other weight loss surgery options. The mortality rate is incredibly low at only one in every one thousand people. The surgery requires no cutting or stapling of major organs. The physical recovery period is short. 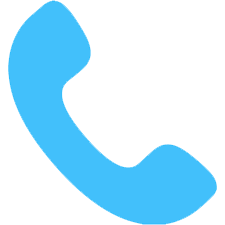 Usually, you are in and out of the hospital within 24 hours. After you have Mexican lap band surgery, you will be placed on a liquid diet for around six weeks. Some people have reported difficulties eating solid food, but doctors suggest that the issue will dissolve over time. Postoperative patients will also need to implement a regular exercise routine, which will help them lose weight and aid in proper digestion. Patients can expect to lose between 1-3 pounds a week for a year following the surgery. A common trait among individuals who have bariatric surgery is a sedentary lifestyle. Physicians suggest patients start slowing walking regularly. This should be done even before the weight loss surgery is performed. A person who walks a minimum of ten minutes daily prior to the surgery will begin the process of developing a habit that will make it easier to continue once the surgery is complete. It is recommended a person start their walking program approximately a month after surgery in Mexico to achieve the best possible results. This program should start with a person walking for up to 20 minutes daily. During the hot summer months or if the weather is hot and humid, it’s possible to walk inside and use a treadmill. Walking in a climate-controlled environment eliminates the concern of dehydration. The time spent walking should slowly be increased until a person is walking up to 60 minutes each time. Since people after gastric sleeve surgery may have a limited diet, walking may be the only effective exercise in the beginning. The pace a person walks should be slowly increased as they feel stronger. It’s also important to avoid overexertion. This can be accomplished by walking for shorter periods at different times during the day. It should be done in the weeks right after surgery. In order to have an exercise program be successful after gastric sleeve surgery in Mexico, it must be progressive. It’s important for a patient to wait a minimum of six weeks before they attempt any type of exercise considered vigorous. Should they start intense exercise too early; they could slow the healing process. It could make them more prone to having an infection and possibly rupturing their incision. Many physicians recommend patients slowly increase their routine by adding light free weight training. It’s also a good idea to work with a trainer if possible. 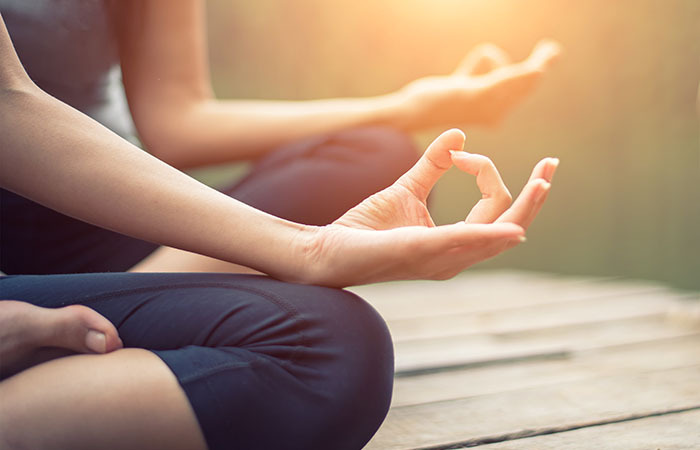 It is common for individuals to have a good experience with adding yoga to their exercise program. As weeks and months pass, a patient will be able to add more time and additional elements to their program. This will increase the chance of meeting their weight loss goals. The people who are most successful with maintaining their exercise program after bariatric surgery find something they enjoy and stick with it. An aerobics class will burn more calories than walking. If a person avoids it because they don’t like doing it, aerobics is not the right type of exercise. A person should try different types of exercise. A cycling class, dancing, strength class, power walking and more. The goal is to find some type of exercise that is enjoyable. It is recommended to keep doing an exercise routine for a minimum of 45 minutes each day for times a week. A person doing this will not only lose weight but feel healthier and stronger. Life’s not fair. You probably heard that a few times as a child; maybe you have even repeated the phrase as an adult. Why are some people born into money while others work hard and stay poor their entire lives? Why do bad things happen to good people? We all struggle to understand why life can sometimes feel so unbalanced. How does he/she eat everything they want and stay so thin, while I starve myself and still gain weight? People with a genetic predisposition for obesity often feel like life has dealt them an unfair hand. When the deck is stacked against you, it can be hard to see the point in playing. These feelings are understandable, but all is not lost. Bariatric surgery can help you to level the playing field. Most cases of obesity are attributed to a metabolic imbalance. That means that people put on weight as a result of eating too much and exercising too little. Certainly that’s an easy mistake to make in a society that puts fatty foods in front of us at every turn. When a metabolic imbalance is truly the root of the problem, it can easily be solved by eating fewer calories and exercising more. That’s why diets and fitness programs remain so popular. Why don’t diets and fitness programs work for everyone? Recent research has revealed patterns that indicate that obesity is more prevalent among certain groups. A study on the BMI (body mass index) of twins who were raised apart showed that instances of obesity in test subjects had more to do with their genetics than their environment. In other words, some people truly are genetically predisposed to obesity. 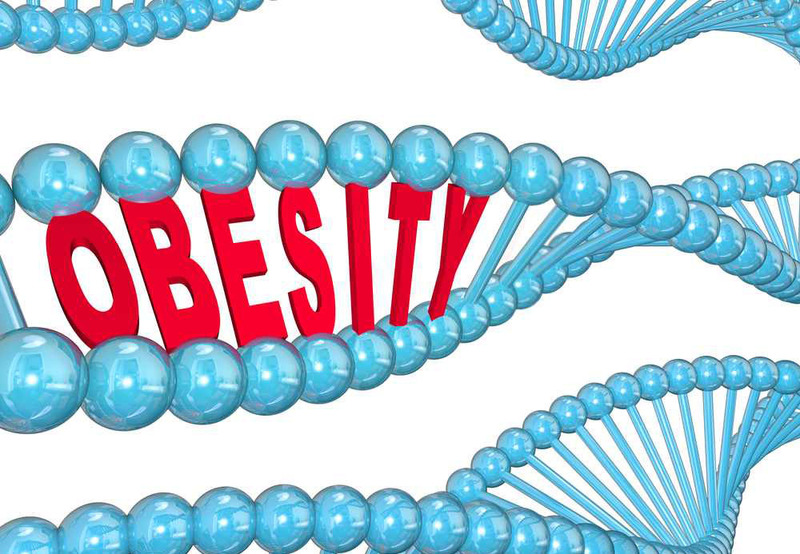 If you have a predisposition to genetic obesity, what can you do? Maintaining a healthy diet and regular exercise are still important, even if you struggle to lose weight the traditional way. Mexican Bariatric Sleeve Surgery is a popular option for people that want a clean slate. You can have the Mexican bariatric sleeve surgery and enjoy a vacation in the process. Even if you opt for surgery in Mexico, exercise is often advised as preparation for the surgery. You want to get your body as healthy and strong as possible to help aid the recovery process. Also, eating smart and exercising often are the only ways you can maintain the results of bariatric surgery. Life’s not fair. It’s true. That doesn’t mean you can’t get the life and body you deserve. With a renewed commitment to diet and exercise and modern surgical options, you can beat genetic obesity once and for all. Undergoing bariatric surgery in Mexico will mean that you will have to set aside some time to fully recover. Your previous eating habits will change and will probably never be the same. But that is not something to worry about or fret over. You’ll be enjoying the new benefits of the affordable weight loss surgery and your new body too much to be upset over your diet changes! Immediately following your affordable weight loss surgery, your doctors and nurses will talk with you about your eating habits and set you up on a stricter diet. 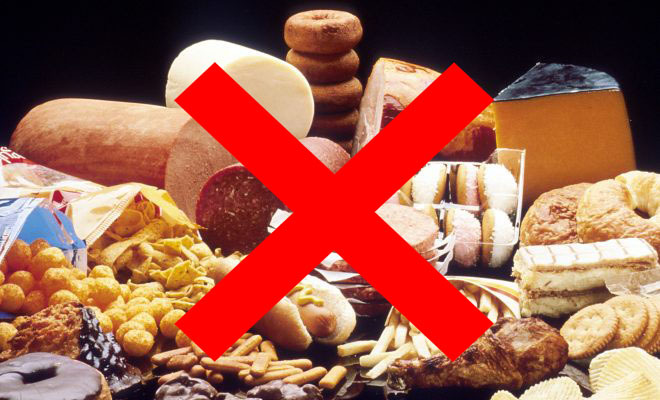 However, after your surgery in Mexico, your diet options will get larger and less strict. If you are a bariatric patient, the diet you follow is an important one. You need a high-protein, low-sugar, and low-fat diet. You will always want to eat your protein first, and then your vegetables and/or fruit. Finally, you’ll have your carbohydrates. When choosing your protein, always look for lean cuts with visible fat removed. Try and choose low-fat and low-sugar options as much as possible. A good rule of thumb, for both before and after surgery, is a goal of three meals per day. Smaller snacks between meals are ok in moderation but don’t get caught up in a “grazing” habit where you are eating a little all day long. Eat your meals slowly, chew your food well, and get plenty of fluids throughout the day. It is also recommended to take a multivitamin. 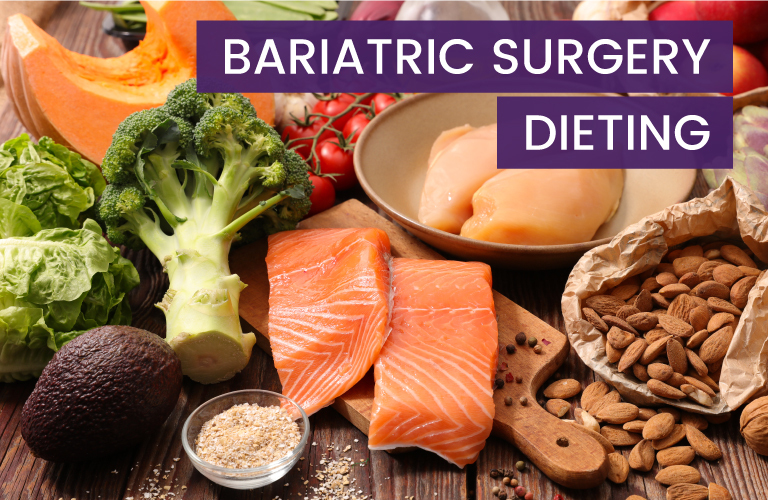 Bariatric patients have found that certain foods are harder to digest after affordable weight loss surgery. Some foods to avoid are: whole milk, grapes, pork, beef, nuts, beans, shellfish, and corn. You may not have to avoid these foods for the rest of your life, but it is probably safer to avoid them in the few weeks following your bariatric surgery. Erring on the side of caution is definitely recommended. However, you do have many other options for meals after your surgery has been completed and you are home. Many of the options can be paired up with side dishes, such as celery sticks, baked potato with low-fat toppings, decaffeinated tea and skim milk. This is just a small sampling of the types of foods that post-bariatric patients can enjoy. There are literally dozens and dozens of websites and blogs that are full of recipes and information concerning how to eat after bariatric surgery that you will find helpful. You’ll find that it is much easier than you thought to adapt to the new rules you have with your diet. You’ll also learn by trial and error and by paying attention to how your body responds to certain food and drinks. There may be certain things that you may not be able to eat for the rest of your life, but that doesn’t mean you will always have to eat the same type of food over and over again. Just experiment with new recipes, keep searching for different variations on the ones you love, share recipes in a group designed for bariatric patients, and enjoy your new diet as much as you can! After surgery in Mexico, you’ll love your new body and new diet! If you have recently undergone bariatric surgery, you probably realize that it will take time to recover. After your surgery in Mexico is complete your usual eating habits will have to change. But this isn’t something you should worry about too much. After all, you’ll have amazing new benefits from your gastric sleeve Mexico bariatric surgery. These positive changes will far outweigh any food issues you may come across after the bariatric surgery. Your doctor will outline a diet to follow immediately after your surgery, but you will see that your options for food will grow as time moves on and your body adjusts. After you have had gastric sleeve surgery you will want to follow a diet that is high in protein and low in sugar and fat. Doctors will suggest eating your protein first, followed by any vegetables or fruit. Your carbohydrates should be eaten last. When picking out protein to eat, look for cuts that are lean with as little fat as possible. Keep your diet low in sugar and fats. It is still recommended that you eat three meals a day, with a few small snacks in-between meals if desired. Just be careful that you do not start to “graze” all day. Eat your food slowly and carefully and always drink plenty of fluids. Taking a daily multivitamin is also strongly suggested. This is just a small sample of the many different meals and snacks that you can have after your surgery is over. You can find much more about what you can and can’t eat online, through websites and blogs that are dedicated to the post-bariatric lifestyle. Simply follow the basic guidelines and pay close attention to how your body reacts when you eat certain foods. You’ll quickly learn what you can and cannot eat while you adapt to the new dietary requirements set forth by your doctors and nurses. There may be certain foods that you cannot eat for the rest of your life, but that doesn’t mean you need to make the same recipes over and over again. Look online for new ones, share within a group to get new ideas, and experiment with new ideas. Soon, you’ll love the different foods and flavors you get to try because of your new diet! The journey to healthy weight loss can be challenging, especially if you don’t understand the huge gap between exercise, diet and bariatric surgery. To better help in your comprehension, here are the latest advances that can put you on the road to realizing your weight reduction goals with very little recovery and only an outpatient appointment. Bariatric surgery is a successful method of weight loss for obese patients. However, it can be especially worrisome to those who aren’t familiar with the process. gastric sleeve and lap-band have become proven ways for those who can’t shed pounds through diet and exercise. Two new procedures called ORBERA Intragastric Balloon and ReShape Integrated Dual Balloon System are both quick processes that only require an outpatient appointment. Patients can also recovery within a week. After six months, the balloon-like devices are deflated and taken out without surgery. Select individuals are currently trained in gastric balloon procedures. However, it’s an opportune method for people with a BMI between 27 and 32. The gastric balloons are also a wise choice for patients who may not qualify and are concerned about surgical weight loss methods. During the physician and patient consultation, you’ll be asked questions pertaining to your medical history. You’ll also need to undergo a physical examination. This can help determine which option is best for your body type. The cost of the gastric balloon varies and runs anywhere between $6,900 and $7,700. Presently, insurance providers don’t cover this type of treatment to patients. This soft, yet long-lasting silicone balloon called ORBERA was created to help obese patients drop pounds and maintain their weight. A deflated, thin balloon device is placed in the patient’s stomach and filled with saline. Similar in shape and size of a grapefruit, the balloon stays in place for at least six months. This allows the individual enough time to reinforce good eating habits and portion control. When used in tandem with a supervised diet and program that modifies a person’s behavior, ORBERA has proven to be successful. Approved by the FDA, ORBERA Intragastric Balloon can help individuals with a 30 to 40 body mass index (BMI). In a clinical trial, patients who had undergone this latest procedure had lost over three times the amount compared to those who followed a diet and exercise program. They were also able to keep the weight off up six months after the device was removed. The incision-less weight loss procedure gastric balloon allowed individuals to achieve their excess weight reduction goal by 38 percent. Combined with nutritional guidance and medication management, patients could lose substantially more. Reshape Integrated Dual Balloon is the latest non-surgical method approved by the FDA for losing weight. Completely different than any procedure or diet program, it was specifically created for those with a lower BMI between 30 and 40. Two balloons are connected with the Reshape device and then filled with saline. Although the devices are placed in the stomach, patients are in an outpatient setting. The process is approximately 20 minutes and patients are typically sedated using light anesthesia. An endoscope helps insert the device in the stomach. Once the saline properly inflates the balloon, the physician removes the endoscope. The device is in the stomach for approximately 6 months. Although temporary, the balloon takes up space in the stomach and makes less room for food. During this time, you’re encouraged to eat healthily and adopt better eating habits. Once the balloon is removed, nutritional support will continue. The ongoing management throughout the process allows you to check out self-pay options and ensures that you’re following the proper physician recommendations. There are two types of balloons the FDA has currently approved in the United States. The ORBERA is a single option that contains up to 600 cc of saline. The Reshape is dual and slightly larger with 900 cc. The Reshape provides patients with a portal, so they can track calories and exercise. Both devices stay in the stomach for approximately six months. They also include a 12 month program where patients can learn about exercise and nutrition. Another similarity with both balloons is that the devices can improve a patient’s health both mentally and physically. Because the balloons help a patient shed weight, health conditions such as diabetes, cancer, arthritis, joint pain, high blood pressure and asthma can improve greatly. Patients may even be able to go off medications for a specific ailment once the weight is lost. The extreme makeover can also improve a patient’s mental outlook by making them more self-confident, happier and energized. There are other wls popular with patients. Although they are minimally invasive, the surgeries may take a little more recovery time than the balloon methods. Cheap gastric bypass, gastric sleeve and lap-band are all proven bariatric surgeries to help obese individuals lose weight. While they are safe and pose very little risk to a patient, revisional surgery from lap-band can occur if the device erodes or slips. 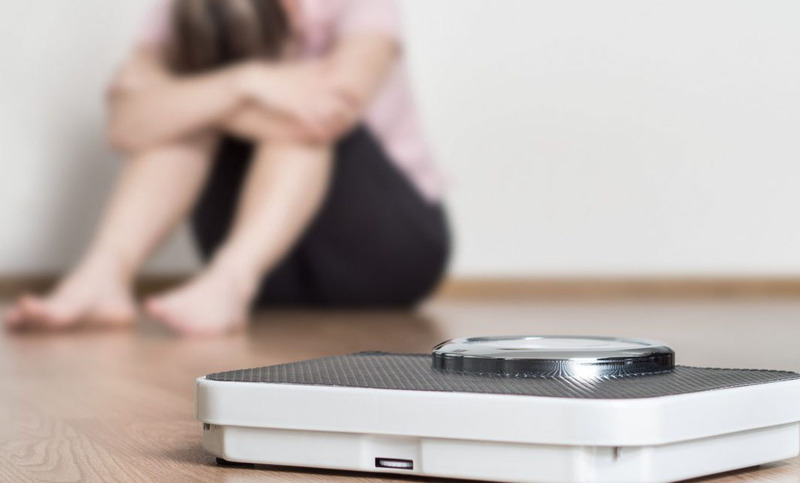 Weight is an issue that many people deal with, and it can be overwhelming. Some people opt for diets while others work out until they drop to the floor. Perhaps this is one reason you decided on the bariatric surgery to help you maintain your weight. Some have the surgery in Mexico because it can be more affordable. No matter where you have it, the real problem you will have is keeping the weight off after surgery. Why is it Hard to Keep Off the Weight? Some might think it will be easy to keep the weight off after having the surgery, but that is not the case. Bariatric surgery may remove excess fat, but it does not deal with personal habits. I know that losing weight is only half the battle. I tried dieting and lost 200 pounds and gained them right back due to my habits. What you have to understand is that weight issues stem from a disease that must be addressed in order for weight control to be attained. One of the first things you need to do is find your motivation. Personally, I found motivation in my father who sadly passed away before I lost all my weight. He was always there, motivating me and encouraging me to believe that I could lead a healthier life. I keep his teachings and motivation close to my heart. It is his spirit that makes me want to stay fit, and I hope he can see me maintaining a healthy weight wherever he is. You also need to find support. I found support within the bariatric community. All of you who have struggled with obesity are my sisters and my brothers. I find all the courage I need when I hear about you or meet you at the Obesity Action Coalition’s Annual Your Weight Matters Convention or at the Annual Meet and Greet for the Weight Loss Surgery Foundation of America. Another thing that has helped me tremendously is being able to motivate others who think losing and keeping the weight off is impossible. I have followers on Facebook or Instagram who share how I have inspired them. Some share their stories, and I am proud of them. Everyone’s journey to weight control varies. Some chose the Bariatric surgery and decided to have the surgery in Mexico, but some chose other options. Hearing other people’s story is such an inspiration. Motivation and support definitely make a difference but so does access to the right tools that can make this whole transition a little easier. For example, going to some of the conventions mentioned earlier exposes you to companies like Bari Life that provides protein bars and healthy snacks to help safely curve your appetite. I want you to know that I searched for motivation and found it. You will have to seek it out, too. My father believed in me and motivated me because I shared my dreams of leading a healthier lifestyle. I asked him for support, but I also found support within myself. Remember that starts with you, so make sure that you are fighting obesity, not just trying solutions without dealing with the disease. The disease can be broken with a strong support system that will help you finally tell your body that enough is enough. I want to share one more thing with you. I met my boyfriend at one of the conventions I go to for support, so you never know where your journey is going to take you. I’m afraid of surgery! Are there any non-surgical options available? The term obese means that a person is approximately 20 percent over the weight that is considered healthy for their body type and size. Although not every obese individual will have each of the below health risks, the chances of falling ill can increase dramatically, especially if you have a family history. As you notice your body mass index (BMI) climb, so does your risk for heart disease. Coronary heart disease is a serious condition where plaque can build in your arteries. Since the arteries are integral in supplying blood to your heart, this condition can prove fatal. Obesity can also make it hard for your heart to pump the right amount of blood into your body. The best option in reducing your chances is to drop the weight. A sure-fire self-pay method is through bariatric surgery. As you age, it’s important to get your blood pressure tested. It’s especially critical if you’re overweight. If your numbers rise and stay at heightened levels, your body can suffer the consequences. You may be more vulnerable to a heart attack and stroke. Your chances for high blood pressure also greatly increase when you’re obese. Diabetes is a complication where the body’s blood sugar levels are too high. The body normally breaks food down into glucose and carries it to the various cells in the body. Insulin then turns it into energy. If you have this condition, the body isn’t able to store the insulin properly. Because most individuals are overweight, it can also lead to other complications such as kidney disease, blindness, stroke and more. If you’re obese, you’ll find yourself at a greater risk of abnormal fats in the body. This includes high levels of bad fats known as triglyceride and LDL. Obesity can also lower your good cholesterol levels. In addition to monitoring your cholesterol levels, excessive weight loss can also help put the levels within a normal range. This is a name for several risk factors that increase your chances of heart disease and other health complications. You can develop any of the risks on its own or in tandem with another. You may be diagnosed with metabolic syndrome if you have three of the following risks. These include extra fat in the waistline, high triglyceride levels, low HDL levels, high blood pressure and a rise in blood-sugar levels. Obesity may soon overtake tobacco use as the most preventable causes of cancer. If you’re overweight, your chances of developing colon, gallbladder, breast and endometrial cancer are significantly high. To help lower your chances, bariatric and incisionless weight loss procedure gastric balloon options are available. Extra body weight can be difficult to carry. If you don’t do something to lose weight, you could be at risk for osteoarthritis. This joint problem can damage the hips, knees and lower back. It can also make it difficult to move and get around. Minimally invasive surgery and non-surgical weight loss methods can put a person back on track to a healthy and more active lifestyle. Individuals with excessive amounts of fat located in the neck area may be more prone to sleep apnea. When the airway is narrow, it makes it hard for a person to breathe properly, especially when they sleep. Being overweight can also contribute to asthma and other breathing related illnesses. The gastric balloon process allows a patient to undergo a weight loss program without the worry of surgery. If you’re trying to get pregnant, the extra weight can prevent you from conceiving. Obesity can cause infertility complications for women because the added pounds can mess with their menstrual cycle. Getting close to a normal weight can improve a person’s chance of reproducing greatly. Gallstones are stone-like pieces of debris that form in a person’s gallbladder. Mostly produced from cholesterol, they can cause back and stomach pain. Individuals who are obese have a higher chance of having gallstones. 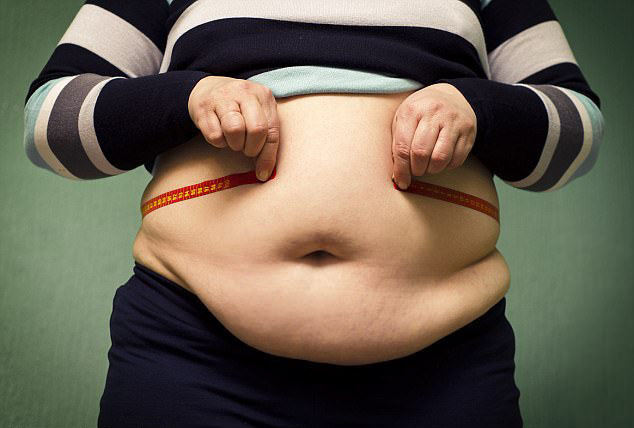 Being overweight can also cause the gallbladder to become enlarged and not work right. Because diet and exercise aren’t effective methods for everyone, wls offers the right stepping stone to help them meet their weight reduction goals. Bariatric Surgery Facts: children and teens who are obese are just as at-risk for health problems as adults. As a matter of fact, overweight kids are more likely to increase their chances of being morbidly obese adults and with similar disease risks. 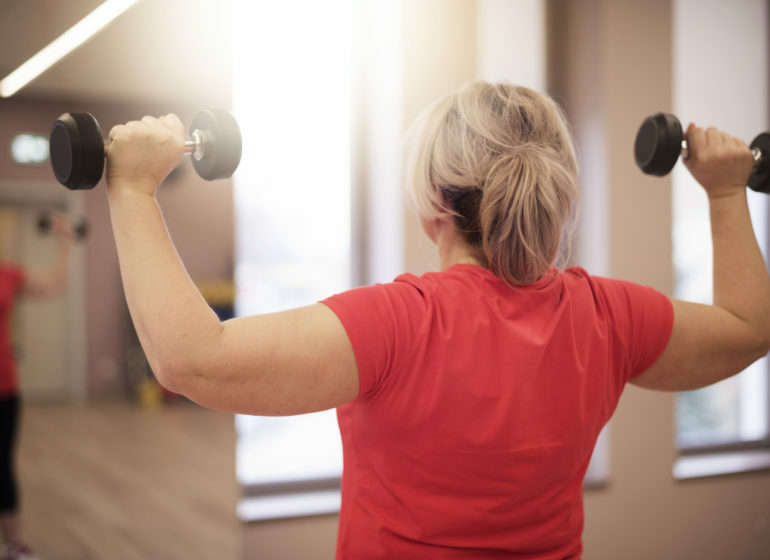 If diet and exercise have failed to give you the right results, the Orbera or other bariatric surgery may help you on your quest to lose weight. Gastric sleeve, gastric bypass, gastric balloon, and lap-band are all FDA approved surgeries that have been shown to be quite successful in keeping weight off long-term. Although risks are low, and the surgeries are safe, revisional surgery from lap-band could arise if the device erodes or slips. There are also FDA approved non-surgical options that include ORBERA and Reshape. The balloon-like device is inserted into the stomach in an outpatient medical visit and left in for six months. The balloon takes up space in the stomach, making it easy for an individual to feel full faster during meal time. Ongoing medical and nutritional support are provided to train the individual to adopt healthier eating habits. After six months, the balloon is deflated. This extreme makeover is a less invasive way for a person to lose weight and get their life back. Bariatric surgery and non-surgical options can also a person lower their risk of heart disease, high cholesterol, stroke, and cancer. Mental improvements also include more self-confidence and a better outlook on life. People who are morbidly obese or have difficulties losing weight find today’s weight loss surgical options a blessing. Studies even show that bariatric surgery is a proven method where patients can lower their weight, reduce their chances of illness and get their life back. However, is it a safe and effective method for keeping the weight off long-term? Whether a patient sees a doctor in the states or they travel to Mexico in search of an extreme makeover, bariatric surgery is a popular method for severely obese patients to get their life back. Because it’s so well-known, the mortality rates have fallen as much as 80 percent over the past 10 years. Taking data from close to 60,000 patients undergoing surgery, the risk of death following after 30 days is an average of 0.13 percent. This equates to approximately 1 out of 1,000 individuals. That’s exceptionally low compared to other surgical operations that include hip replacement or gallbladder surgery. 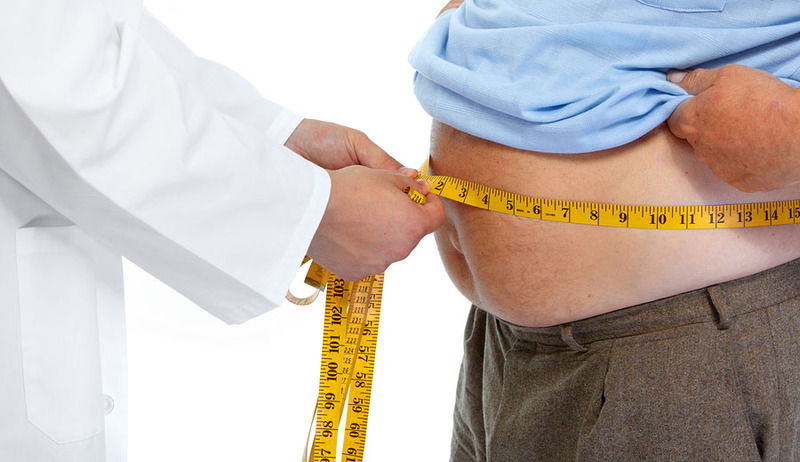 The process refers to a variety of surgical procedures for individuals who are obese. By reducing their food intake, the patient is able to drop excess weight and enjoy a healthy and happy lifestyle. Prime candidates include those with a body mass index over 30. Severely obese individuals are those with a 40 and over BMI. Obesity has practically doubled in the United States since the 1960s. Although diet and exercise can help some overcome weight gain, it doesn’t work for everyone. That’s where bariatric surgery comes into play. The three most widely used processes include gastric bypass, lap-band and sleeve gastrectomy. Gastric surgery is commonly used worldwide, and it’s seen effective and safe results for those who are obese. The procedure consists of re-routing the digestive tract into a smaller upper stomach pouch and lower compartment. Once divided, patients will notice that they handle food much differently than in the past when you eat. Because it suppresses hunger, patients consume less calories and find some of the ones that they do to be absorbed better. Lap-band surgery has been around for quite some time and was once the best minimally invasive method of weight loss. Performed laparoscopically, a band is placed around the stomach. With a smaller stomach pouch, patients will eat less and feel full quicker. Unfortunately, revisional surgery from lap-band can happen if the band erodes, deflates or slips at any time. Gastric sleeve surgery begins by removing a portion of the stomach to make for a smaller pouch. This allows less food to be consumed, and the patient to feel full quickly. Because incisionless weight loss procedure gastric balloon is an effective, safe and low risk of option, it’s continuously growing as a popular way for patients to lose weight. Recovery time for bariatric surgery is dependent on the patient and type of surgery. However, most individuals can resume a somewhat normal life in approximately 4 to six weeks following surgery. They will also have to commit to a liquid diet and introduce certain foods slowly back into their system. For better long-term results, wls instructions should be followed closely. Medical tourism in weight loss surgery can assist patients from everything to self-pay to travel to Mexico options. If you’ve made the decision to take back your life through bariatric surgery, you want to meet with your physician, loved ones and other family members. They will be instrumental in your recovery and after care. They can also have a huge impact on helping you keep the weight off once you’ve recovered. Your health and wellness will also need to be taken into consideration before you can undergo surgery. If you’re a prime candidate, you should educate yourself on which type of surgery is best for you. Although lap-band has been around for quite some time, there are gastric bypass and sleeve gastrectomy are more commonly used because they are both safe and effective to patients. When you’re reviewing the risks, surgery is typically the safest option for obese patients. Obese related health ailments such as diabetes, heart disease, high blood pressure, high cholesterol, kidney disease and stroke can place your body at an even greater risk. You can increase your chances of having a safe surgery by listening to your doctor. This includes steps to take before, during and after surgery. They will also have helpful advice for you to follow once your surgery is complete, and you try and get back to a normal lifestyle. This means changing your eating habits and seeking assistance from support groups or therapy. Medical tourism support for Mexico bariatric surgery can help you make a big change to your life. It can do this by putting you on the path to a healthier tomorrow and longevity. This safe solution can help you jumpstart your weight reduction journey. In addition to being physically healthy, patients can also reap the social and mental benefits with better self-esteem, better social life and improved mental outlook.